Places in the main draw at stake in the Under 21 Men’s Singles event at the 2017 ITTF Challenge Pyongyang Open in the Democratic People’s Republic of Korea, the host nation’s Kim Ok Chan and Pang Un Chol completed their first phase group qualification matches unbeaten on Wednesday 2nd August and thus assured progress to the main draw. Similarly in the Under 21 Women’s Singles event, in the initial stage of proceedings, it was an opening day without blemish and first place in the group for DPR Korea’s Ri Hyon Sim, Ko Un Gum, Kim Jin Hyang. Kim Ok Chan encountered few problems; he beat colleague Ji Yu Yong (11-2, 11-13, 11-7, 11-8) and Iran’s Amiri Arya (14-12, 11-9, 12-10). A comfortable journey to the second stage for Kim Ok Chan, life was more testing for Pang Un Chol when facing compatriots. He accounted for Kim Kuk Chol in three straight games (12-10, 11-7, 11-6) but needed the full five games to overcome Ri Kang Guk (9-11, 11-9, 11-7, 11-13, 12-10). Meanwhile, it was not too dissimilar in the initial phase of the Under 21 Women’s Singles event. Against fellow DPR Korea players, there were few heartaches for Ri Hyon Sim and Kim Jin Hyang but there were testing times for Ko Un Gum. Ri Hyon Sim beat Jin Hui (11-1, 11-9, 11-4) and Im Hyon Song (11-3, 11-4, 11-3); Kim Jin Hyang defeated Jon Kyong Mi (11-6, 3-11, 13-11, 11-4) and So Kuk Hwa (11-13, 11-6, 11-4, 11-6). No deciding fifth game needed, it was not the situation for Ko Un Gum; she had to recover from a two games to nil deficit to beat Choe Hyon Hwa (10-12, 6-11, 11-9, 13-11, 11-7). Main draw places, first place in the group secured; there are three players very much on the same path. 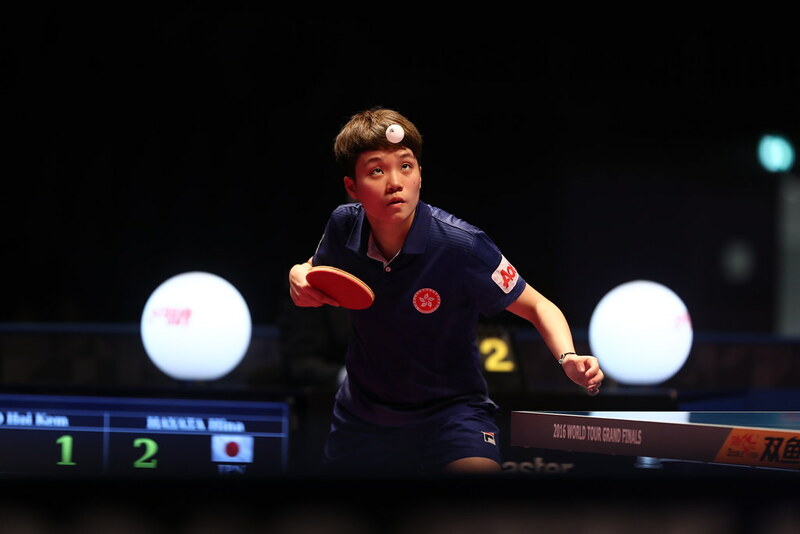 One match still to play; in the Under 21 Men’s Singles event Choe Kyong Guk and U Tae Ryong remain unbeaten, as in the Under 21 Women’s Singles event does Kim Jinju. The qualification group stage of both the Under 21 Men’s Singles and Under 21 Women’s Singles events conclude on Thursday 3rd August.